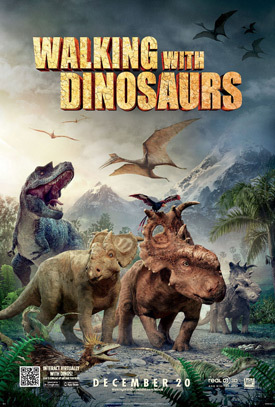 Neil Nightingale and Pierre De Lespinios direct the upcoming 3D CGI animated prehistoric adventure Walking with Dinosaurs: The Movie, based on the BBC TV miniseries Walking with Dinosaurs. See the movie trailer and poster below. The story follows a baby dinosaur as he grows to adulthood. 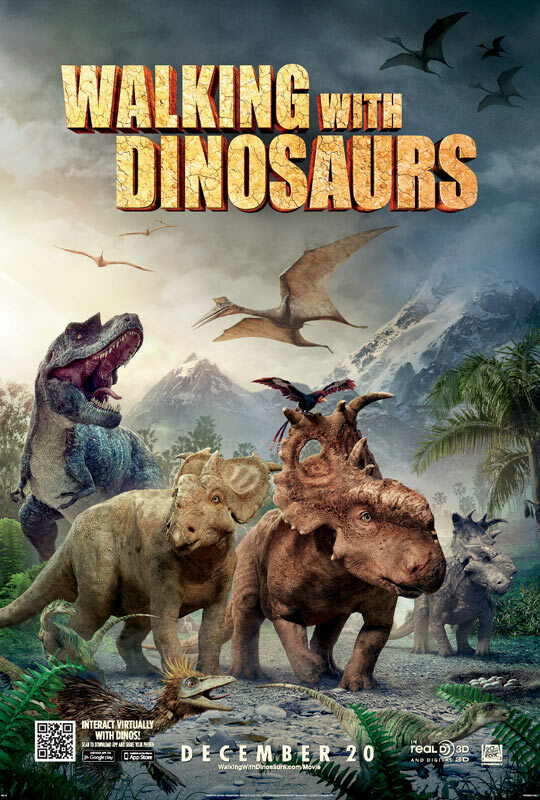 Torn apart from his family, the courageous Pachyrhinosaurus must lead his whole heard on a journey as they migrate to a new home. MPAA Rating: (PG) for creature action and peril, and mild rude humor.